Tagged under Group, Husbando, Japanese Entertainers. 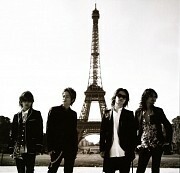 L'Arc~en~Ciel is a Japanese rock band that formed in 1991. They are one of the most popular groups in Japan.